26 July 2017 was the day – EQS Group presents its newly founded inhouse digital agency 3q5. The agency is responsible for evry aspect of corporate communications and B2B corporate websites. An offer to all clients who want to extend their cooperation with EQS beyond IR. Finding the right name is always a challenge. We think, we did a good job. You wonder why? First, you have to know and understand Leetspeak. This code language mainly used online substitutes numbers for letters. In the case of eqs, the e turns into 3 and the s into 5 – et voilà, 3q5. (1) 3q5 is young, modern and a full member of the digital world. (2) 3q5 is no separate, stand-alone agency but a part of the EQS family. We are 100% EQS and still quite different. Wikipedia states that an agency is „dedicated to creating, planning, and handling advertising and sometimes other forms of promotion and marketing for its clients“. Even though the focus of 3q5 is B2B communications and not advertising, the services are mainly similiar. Besides consulting and project management, we also take care of a creative concept. None of our websites, concepts or designs are „out of the box“ but rather as individual as our clients. 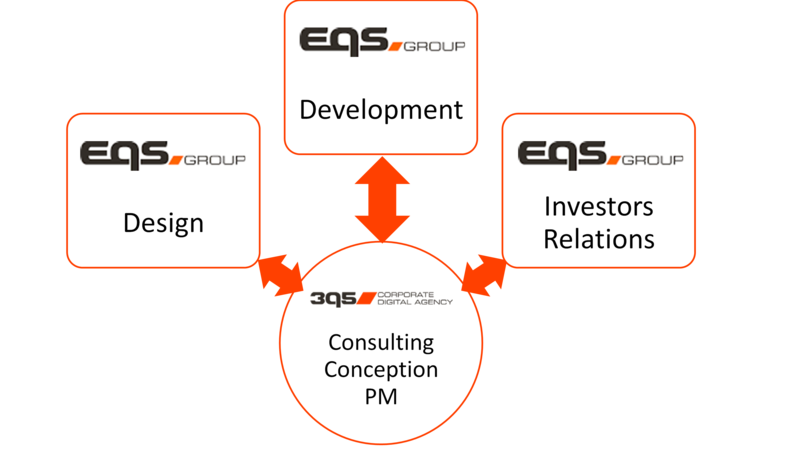 Each client of 3q5 is also client of EQS. Since founding 3q5 in summer 2017, we have given seven corporate websites a complete rebrushing (outside as well as inside). We focus on implementing our websites with the content management systems Typo3 and WordPress, integrating our IR services by using our made-made plugin solutions. Thanks to the cooperation with our EQS colleagues from design, development and sales departments, team 3q5 was able to convince new as well as established clients that we know what we do. Not only projects – big and small – have enriched our first year. In autumn, we used our yearly EQS-Roadshow to introduce the interested audience to website usability testing. Inspired by the fantastic event Usability Testessen – we also had our agency website 3q5.de [https://www.3q5.de/] tested here – we have explained the topic and interactively explored it together with our clients. Also hot topics such as the General Data Protection Regulation (GDPR) were on our agenda. 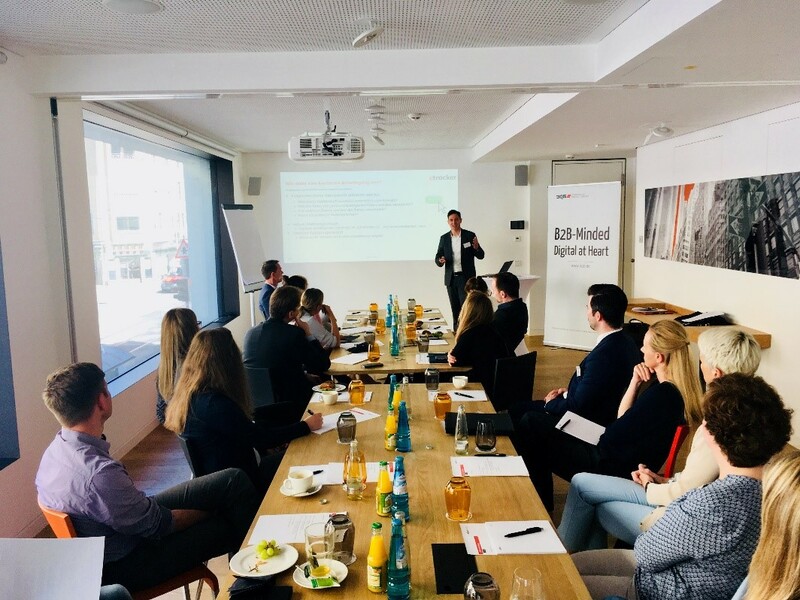 Together with our partner etracker we were hosting an inhouse event on „GDPR-complaint tracking solutions“ to explain facts and to provide clarity. Certainty in uncertain times, so to speak. The first year was only the beginning. We will keep on working hard and motivated for our clients. 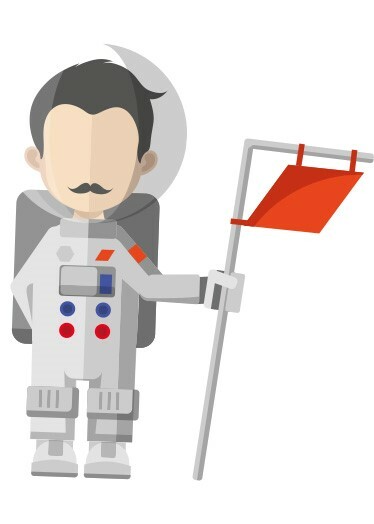 No matter if we explore new galaxies together or stay on familiar ground, it is never boring in the digital world. We are looking forward to what’s up next – are you, too?